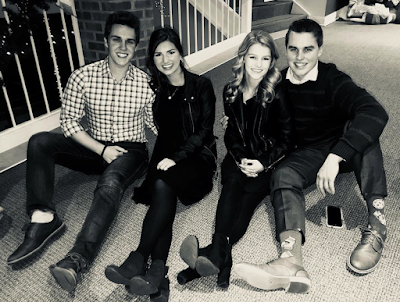 Bates Family Blog: Bates Updates and Pictures | Gil and Kelly | 19 Kids | Bringing Up Bates | UP TV: Wedding Festivities Have Begun! Tori Bates' wedding is just one day away! She and Bobby Smith will have a Bates-sided bridal party, made up of 10 bridesmaids and 10 groomsmen. Carlin Bates is the maid of honor, and Kelton Balka--Josie Bates' boyfriend and the mutual friend who introduced Tori and Bobby--is the best man. Watch season seven of Bringing Up Bates for updates on Carlin and Josie and their boyfriends! Carlin's boyfriend is a Smith too? Imagine that... two Bates sisters could each be a Mrs. Smith! Will there be a wedding special? Those two girls are just gorgeous- especially Josie!